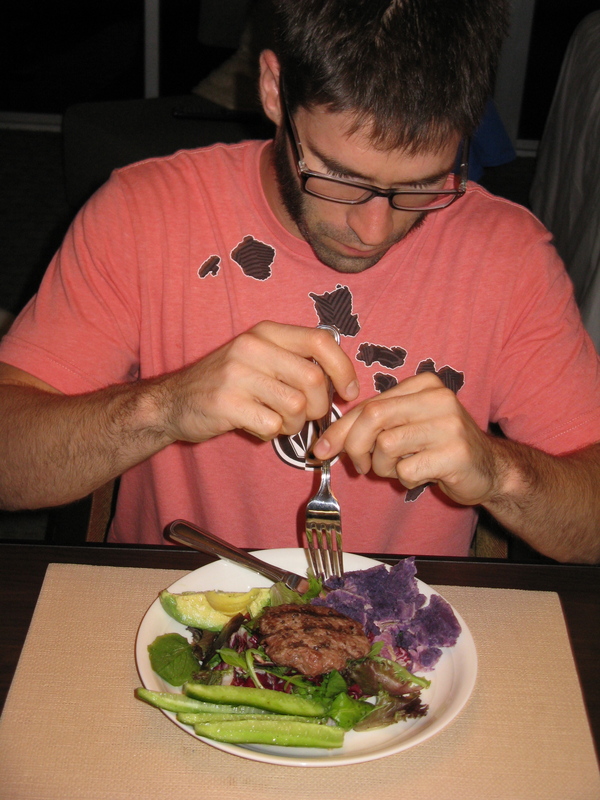 Homemade burgers in Honolulu with black lava sea salt. We’ve been having a stellar time in Honolulu and have eaten a lot of delicious meals out! But, we decided to dine in one night and grill up some burgers. 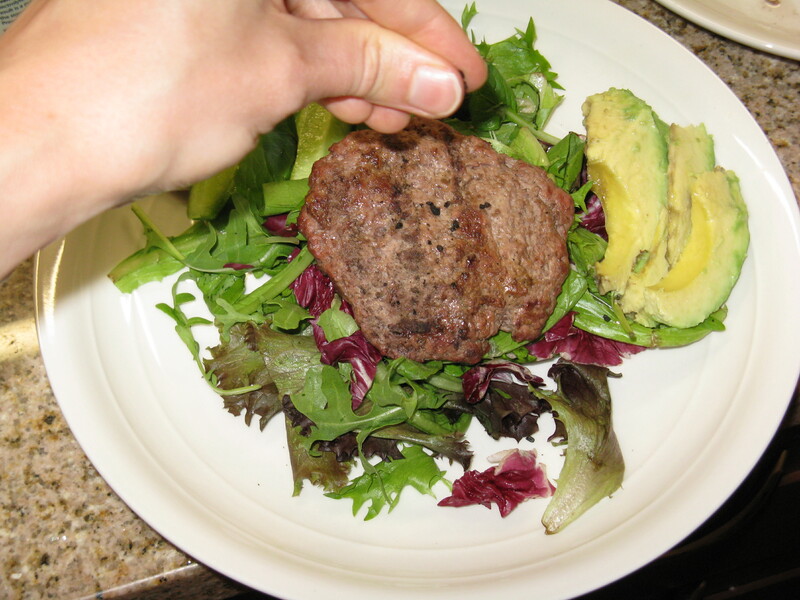 We kept things simple, but jazzed up the burgers with black lava sea salt. The addition of finishing salt definitely took the burgers to the next level, and added a nice smoky flavor and delicate crunch. As stated on the package, “black lava contains premium activated coconut-shell charcoal, an anti-toxin and digestive aid.” What a bonus! For dessert, we had fresh island papaya. It was delicious. It was kind of strange walking around with a plate of raw meat. We’re on the 7th floor and had to go down to the front desk to get the grill tools and have the grill turned on outside, by the pool. In a large bowl, mix the ground beef with salt and pepper. Form into four small patties, or two large if you want bigger patties. 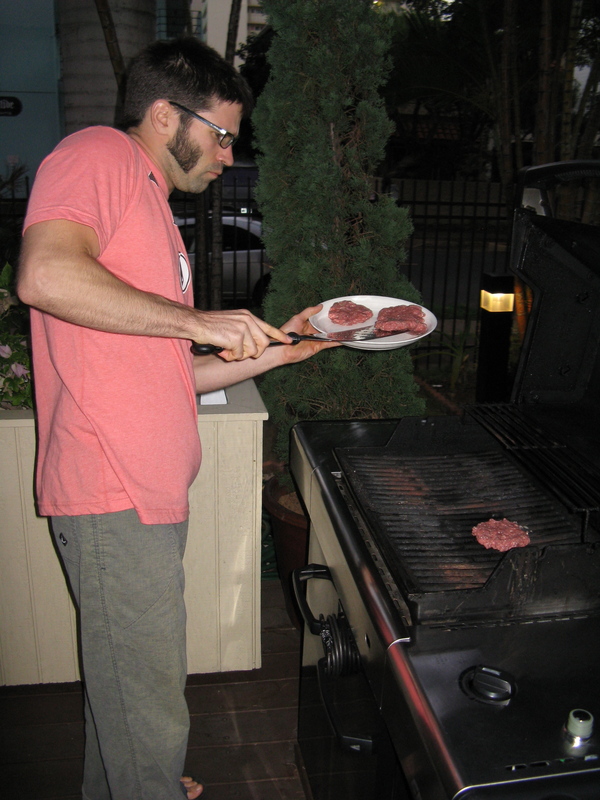 Place patties on a grill over medium-high heat and grill for 3-4 minutes per side for medium doneness. 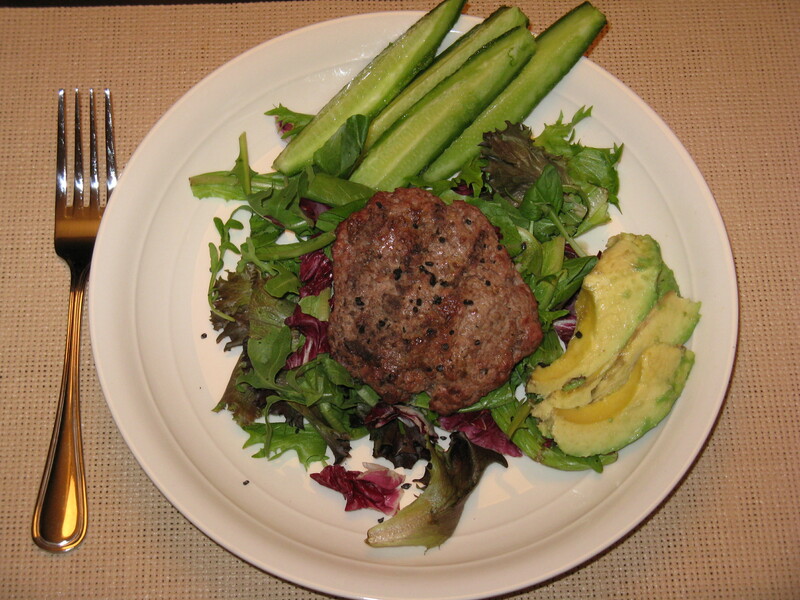 Serve on top of mixed greens with cucumber slices and avocado. Garnish the burgers with a pinch of black lava sea salt (seriously, only a pinch … a little goes a long way). Jesse, digging in. He ate an Okinawa sweet potato with his too. 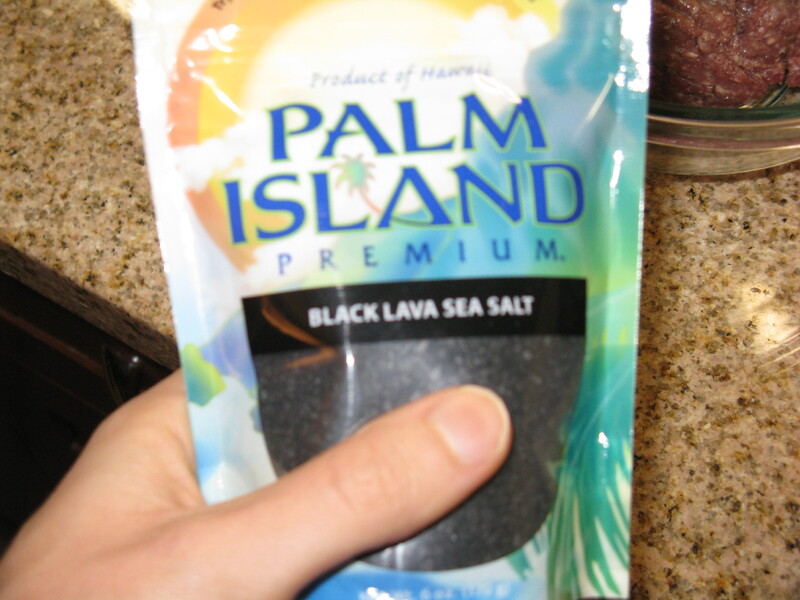 I just bought some black lava salt to include in a homemade seasoning salt gift. Glad to hear it was worth it. Yes, totally worth it, Nikki! A great gift idea too! You look so adorable and tan!! I love awesome sea salts, my pantry currently has pink, grey, regular, and habanero rock / sea salt! Yum! Aw, thanks Megan. It’s hard to tell how tan I’ve gotten, so it’s nice to know that it’s noticeable to others! Those salts you have sound awesome … I want to try others now too! That sounds really interesting, will have to see if any place in Austin caries this type of sea salt! I’m sure you can find some different finishing salts at Whole Foods. That’s where I got mine, but these are also sold elsewhere in Honolulu … just more expensive. Funny, I was just looking on the web for recipes that I can use the black lava sea salt that I ordered and came across your page. Alpena? I am from Bay City. What a small world! I am going to explore your page/recipes/info.